We’ve had quite a lot of emails from users wondering whether they can use our logo and the words “Raspberry Pi” in a number of different applications – on football shirts, on homebrew cases, on websites and so on. 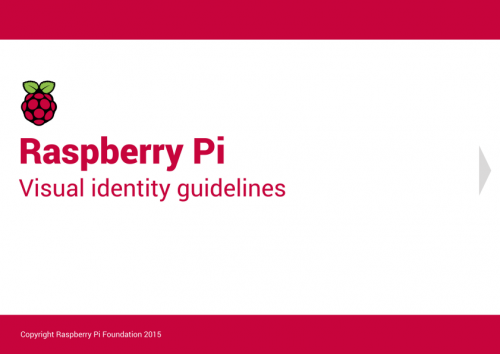 We need to make sure that we protect the unique identity of the Raspberry Pi Foundation (our “brand”) and to ensure that when people see the Raspberry Pi name or logo, they know it is being used for genuine products or services. We want to help you to make fair use of our name and logo so we have prepared some guidelines which explain which kinds of uses are acceptable. Any use of our brand and visual identity must abide by the requirements and restrictions set out both here and in our visual identity guidelines. If your intended use of the Raspberry Pi Logo accords with our requirements, you can download a zip file containing it in EPS and PNG formats. We will refer to these marks together as the “Raspberry Pi Marks”. 1. When can I use the Raspberry Pi Word Mark? (ii) to state or indicate that another product is compatible with, works with or can be used with our products. 2. When can I use the Raspberry Pi Logo? You may only use the Raspberry Pi Logo in connection with the sale or distribution of genuine Raspberry Pi products or services. You must ensure that such use abides by the requirements and restrictions set out in our visual identity guidelines. 3. When can’t I use the Raspberry Pi Marks? (xi) try to pass off your business, products or services as associated with Raspberry Pi and/or damage our goodwill in any way. 4. What other restrictions apply to use of the Raspberry Pi Marks? (i) Any use of the Raspberry Pi Marks must be accompanied by the acknowledgement “Raspberry Pi is a trademark of the Raspberry Pi Foundation”. (ii) Where you are using the Raspberry Pi Word Mark to state or indicate that another product is compatible with, works with or can be used with our products, you must use it with a referential phrase such as “runs on,” “for use with,” “for,” or “compatible with”. (iii) The Raspberry Pi Marks must appear less prominently than the product name and your brand/business name (if applicable). (iv) If you are using the Raspberry Pi Marks commercially (that is, you charge for products or services), the Raspberry Pi Foundation would appreciate a charitable donation and reserves the right to charge a royalty or impose further conditions. 5. Can we apply for protection for names, logos or designs which incorporate any of the Raspberry Pi Marks? The Raspberry Pi Marks are our property. You may not apply to register the Raspberry Pi Marks, whether by themselves or in combination with other words, images or devices, as trademarks, designs or copyright works, or any similar or analogous rights anywhere in the world. 6. Can we use other aspects of your trading style? You may not use our slogans or tag lines or our distinctive packaging, website design, logos, or other aspects of the “get-up” which we may use from time to time. This includes using anything which is confusingly similar. By making any use of the Raspberry Pi Marks, you acknowledge that we are the sole owner of the Raspberry Pi Marks and you do not have and will not seek to assert any rights or interest whatsoever in the Raspberry Pi Marks or the goodwill in them. We reserve all of our rights, including the right to take steps to stop any use of the Raspberry Pi Marks which does not comply with the rules set out above or which otherwise violate, diminish or adversely affect our rights. You acknowledge that you will stop or take down your use of the Raspberry Pi marks if we ask you to do so. If you have any further questions, please contact [email protected].